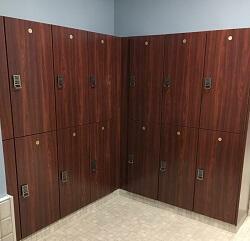 Door & Hardware Specialties recently furnished and installed the Lockers, Partitions and Accessories for the Hildrup Corporate Office. 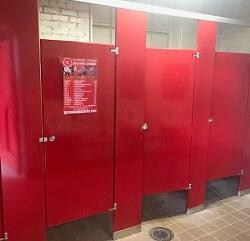 Door & Hardware Specialties recently replaced the restroom partitions for the Richmond Kickers. 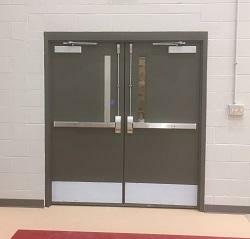 For more pictures, please visit the Our Work page. 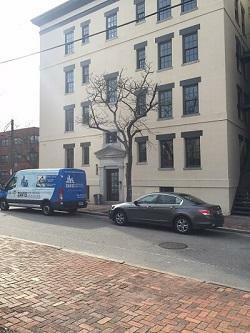 Door & Hardware Specialties has recently completed the Salvation Army Boys & Girls Club in Richmond VA.
Our Norfolk shop just completed the Naylor Arms Apartment Building in the Ghent District of Norfolk, VA!